Peter Paine Sports Centre, 10 years ago. Young people were enjoying a range of activities at Boston’s Peter Paine Sports Centre 10 years ago. The Kick It play scheme was running at the centre in Rosebery Avenue during the Easter break from lessons. 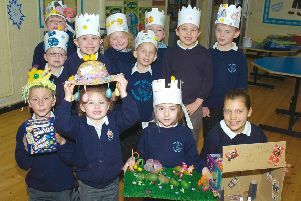 Pictured here are play workers Karen Bruce and Christopher Rollings with some of the children taking part in the scheme.